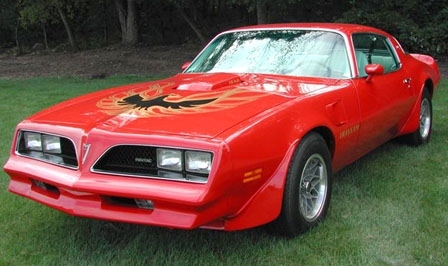 A 1978 Pontiac Firebird Trans Am – Donovan’s car! 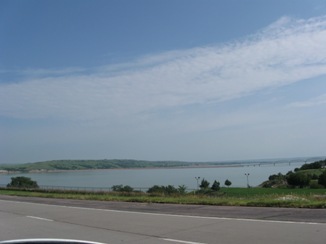 One of Minnesota’s 10,000 lakes – Aurora and Donovan’s fictional hometown of Chameleon Lake might overlook one like this. 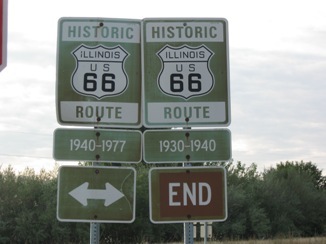 The start of historic Route 66 in Illinois. 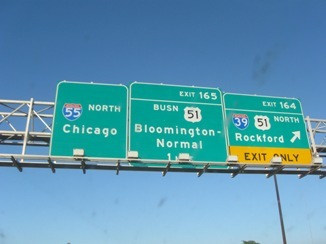 Signs letting drivers know the current highways to take to Chicago and Bloomington-Normal. 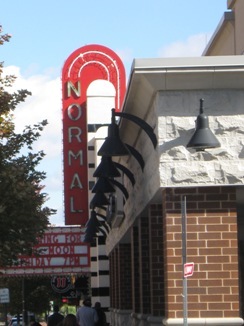 A classic movie theater in downtown Normal, IL. 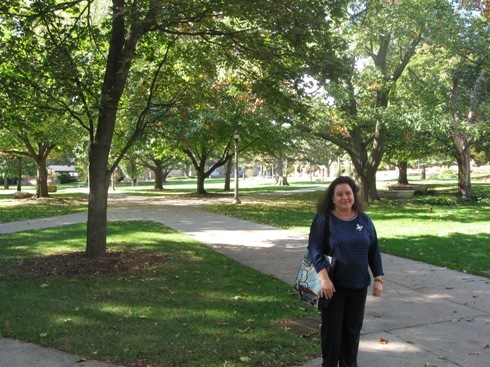 The Quad that Donovan and Aurora visit on the Illinois State University (ISU) campus in Normal. 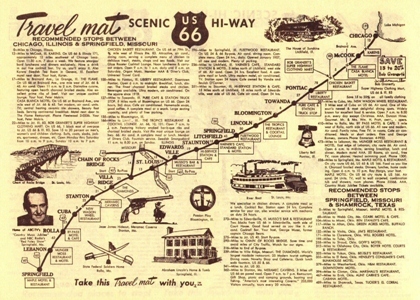 A restaurant travel mat that depicts famous stops along Route 66 from Chicago, IL to Springfield, MO. 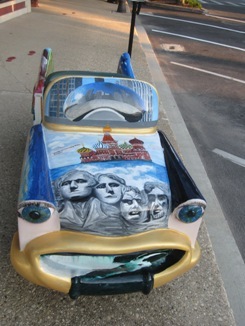 So many cute painted cars in downtown Pontiac, IL. 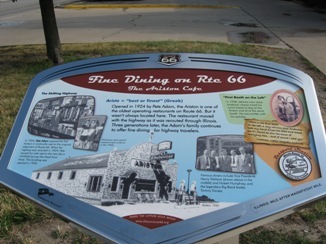 The Ariston Cafe – which has existed since 1924 and has been located in Litchfield, IL along Route 66 since 1935 – still serves fabulous food for travelers! 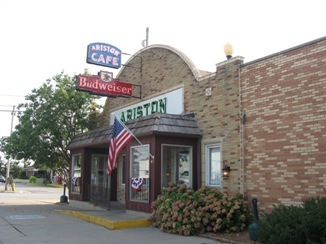 An outside shot of the Ariston. 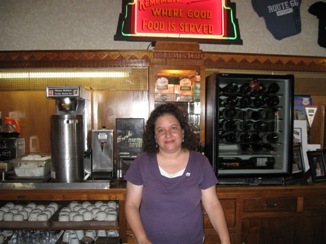 Me at the inside counter. 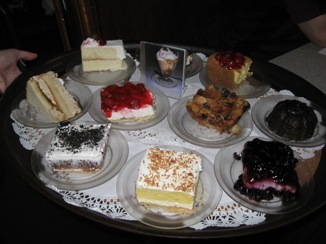 And did I mention their tasty desserts? 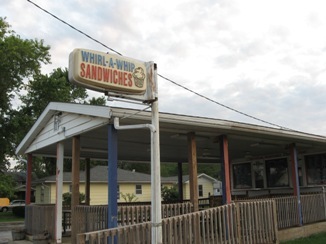 Other places – like Whirl-A-Whip Sandwiches – are no longer in operation along the route. 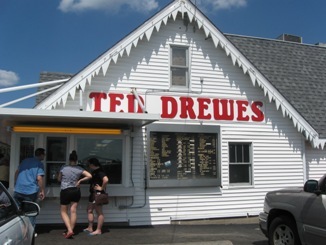 We did manage to get to Ted Drewes Frozen Custard – YUM! 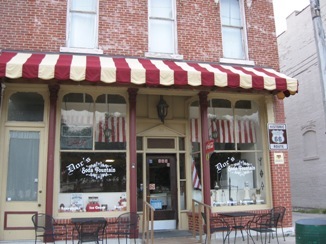 – in St. Louis, MO. 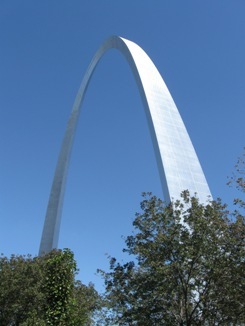 The famous Gateway Arch in St. Louis! 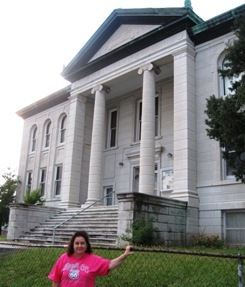 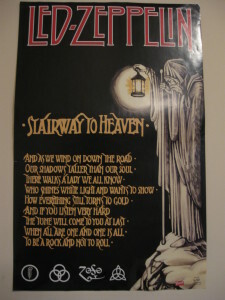 Aurora is a big fan of libraries and all the information they contain, so she and Donovan make a stop at the Joplin Carnegie Library in Joplin, Missouri – it was still open to the public in 1978. 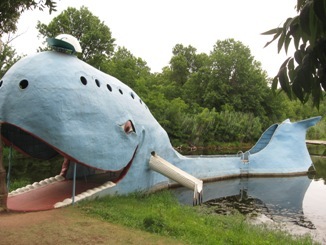 The adorable and unusual Blue Whale – Catoosa, OK. 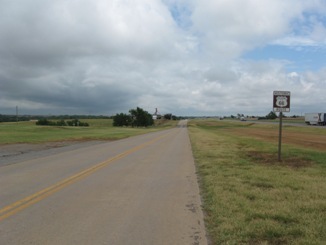 Some of the original Route 66 highway. 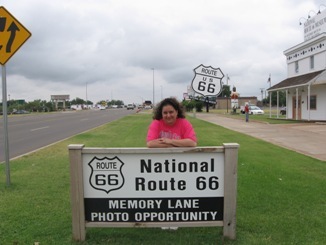 The National Route 66 Museum in Oklahoma. 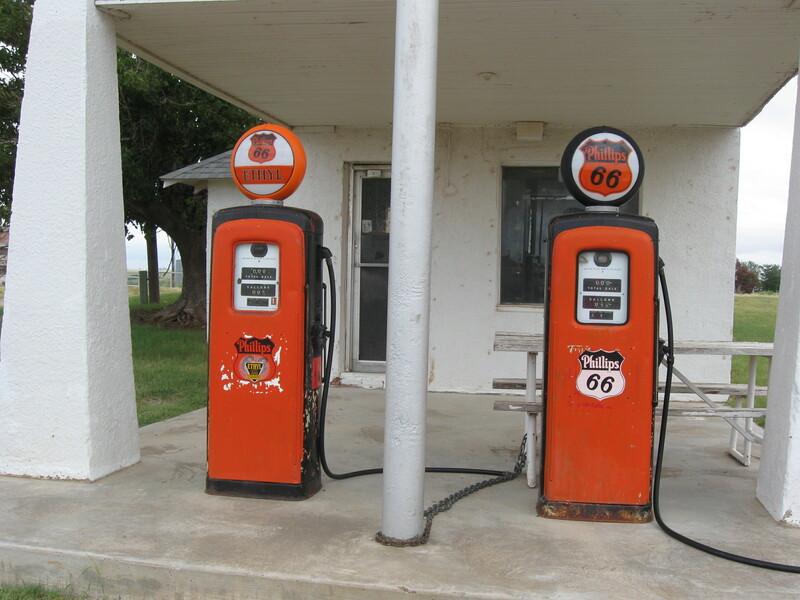 Lucille’s Service Station – built in 1929! 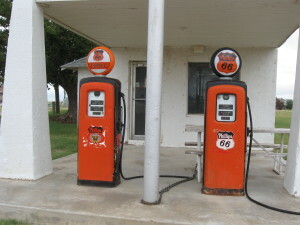 – is the classic stop for gasoline out near Hydro, OK, and I loved visiting but, thankfully, we’d already filled up our tank. 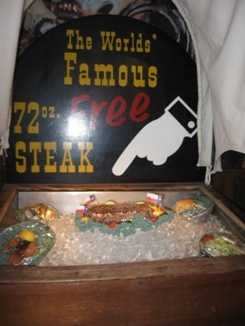 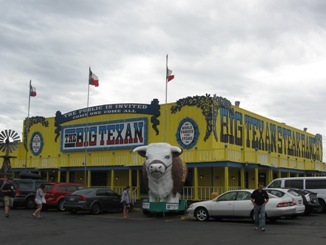 The Big Texan Steak Ranch in Amarillo, Texas, where I had the best and most tender filet I’ve ever tasted! 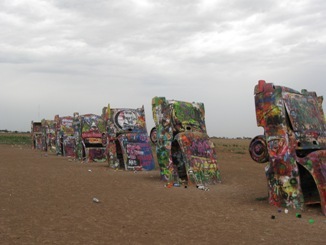 The Cadillac Ranch in Amarillo, TX – one of the trip’s big highlights for me! 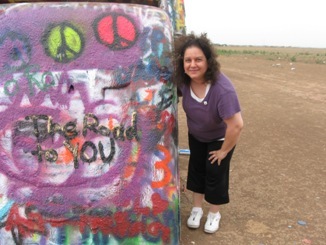 And this shot was a particular favorite of mine :). 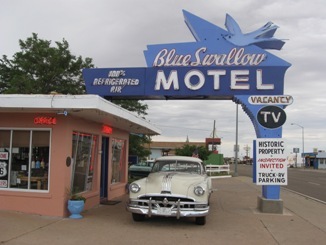 The Blue Swallow Motel – the cutest motor lodge anywhere – in Tucumcari, NM. 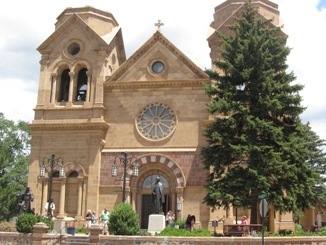 The beautiful Cathedral Basilica of St. Francis of Assisi in the heart of Santa Fe – it reminded me of the style of church that Aurora and Donovan visit during their time in New Mexico, although the one they go to is much smaller. 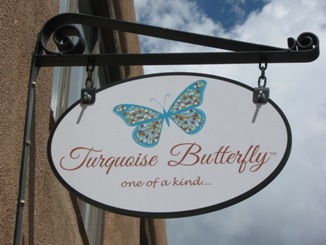 Lots of unique jewelry and arts/crafts shops to be found in downtown Santa Fe! 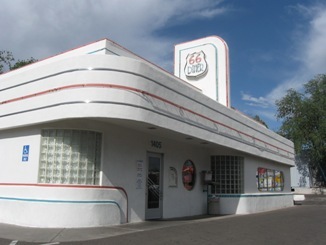 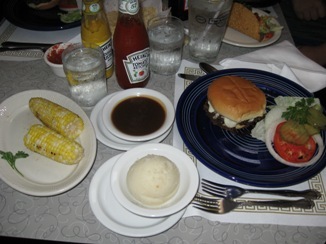 The Route 66 Diner – with great food and fantastic décor – in Albuquerque, NM. 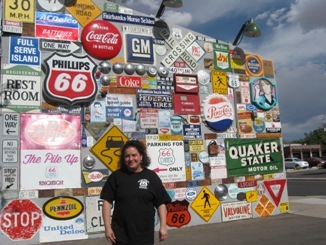 This is the wall at the edge of the Route 66 Diner’s parking lot – full of “66” signs! 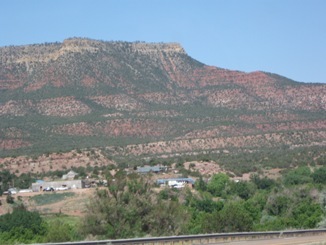 The gorgeous Sandia Mountains of New Mexico. 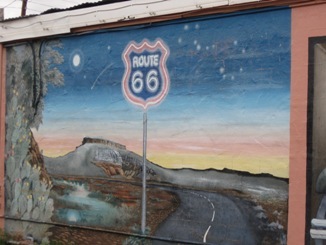 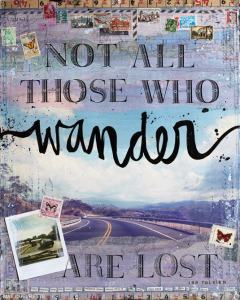 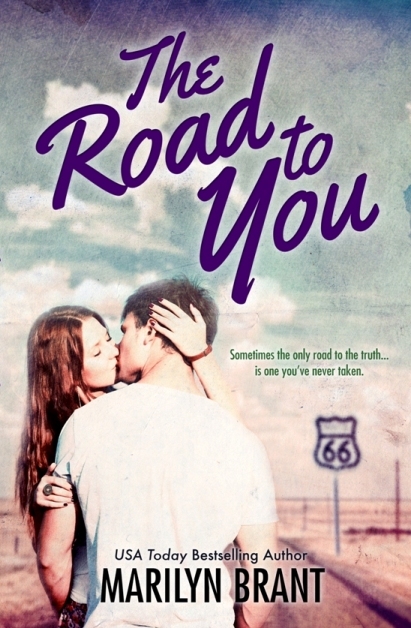 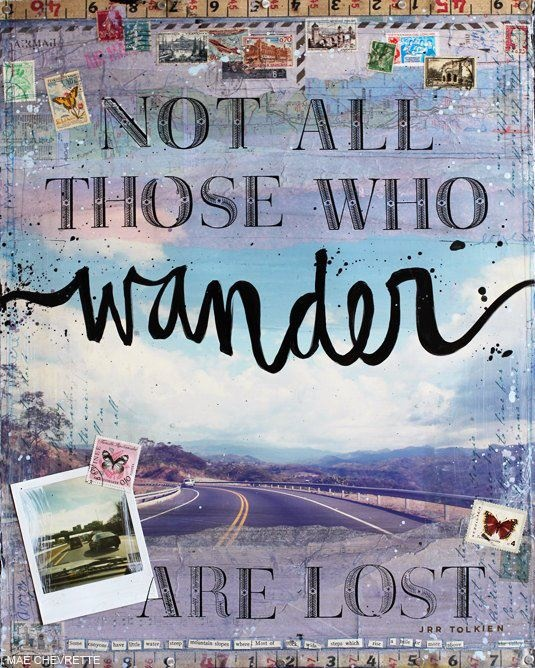 NOTE: Even though my personal road trip down Route 66 ended in central NM, my characters’ journey down The Mother Road/America’s Main Street continues westward through Flagstaff & Topock, Arizona…and San Bernardino, Pasadena & Los Angeles, California… I’m hoping I’ll be able to continue the adventure sometime soon!